Our Mixed Reality deployment is designed to work with your class schedule and lesson plans. Contact us to learn more. 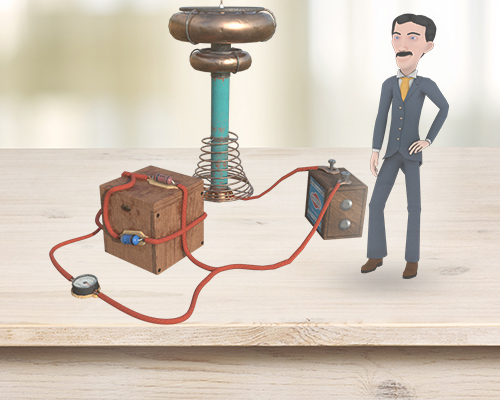 You and your team find yourselves in Dr Nikola Tesla’s lab where he had got himself into a bit of a fix. He had shrunk himself and is now trapped. Fortunately for him, your team have what it takes to rescue him and get him back to normal size. 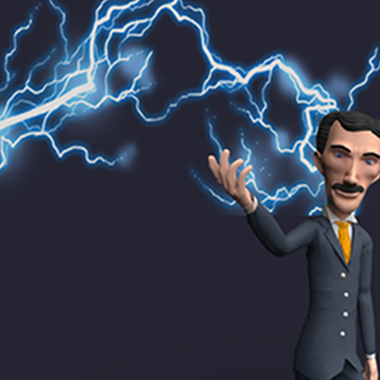 Put your knowledge of Fleming’s left hand rule and Ohm’s Law to work as you venture through Tesla’s Lab. Apply and extend understanding of Ohm’s Law and Fleming’s Left Hand Rule. Cultivate collaboration and communication skills. 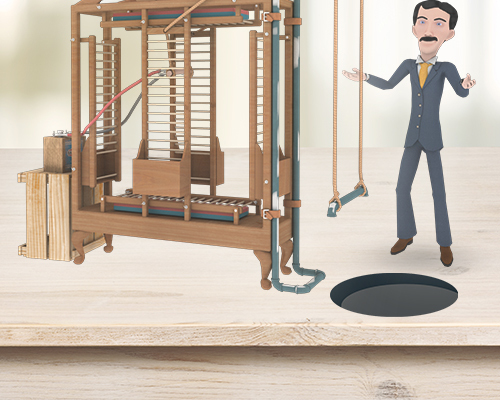 From an actual book on a table, a hole appears and a miniaturized Dr Tesla attempts to climb out of it. Students will help him out using his lift machine. The team will have to analyze the lift, determine direction of the current and place magnets in the right location achieve a force in the right direction to pull Tesla out of the hole. Once out, the team has to charge and fire the Tesla Coil to reverse the effects of the miniaturized Dr Tesla and bring him back to his normal size. To do that, the team will have to draw on their circuit analysis and knowledge of Ohm’s law to correctly complete the circuit by placing the correct resistors in the correct location. The charged Tesla Coil is fired and brings Dr Tesla back to normal. Teachers will receive an action report for each student in each session. Students will be given a 5 minute brief on how to put on and use the hololens and an outline of Tesla’s Lab Mixed Reality experience. Students are seperated into Groups 1 and 2 for class sizes between 20-40 students. Group 1 will run the experience and the groups change over when Group 1 has completed their session. Teachers can access the session reports at the end of the sessions. Alternatively, short term deployment of our rig at the school provides greater flexibility for teachers. In this case, teachers will be briefed on how to conduct the MR experience at their convenience. This is an indoor experience. A table at least 72″ x 30″ will be required for each group with about 48″ of unencumbered space around the table for students to move around safely. Sufficient space to conduct class briefing.